I’m the type of person that looks around my house and see if there are things I can add, fix, or build to make look it look better. This weekend, I suggest you do the same for your backyard with these DIY garden projects. I spend my free time outdoors, literally in our backyard, and I’ve been getting to know our garden a little bit better. It’s usually my wife’s area of expertise but when I suggested these DIY garden projects for our house, she got really excited. She liked almost everything that had to do with her flowers and succulents but I’m particularly excited with the Skateboard swing and teepee. If you’re as excited as we are for these DIY garden projects, read on and get to building. From garden furniture to handy crafts, we can help you plan your next creative DIY here. Check out the list below. Add fun stepping stones to your garden just like these ones. Click here for the tutorial. I could never find the perfect lounging chair, but when I made this DIY log lounger, I knew what Goldilocks meant by “just right”. My father made use of empty bottles, some gas, and an old cloth to create a makeshift lantern for outdoors. This is a very creative take on this concept. Ponds and backyards go together, which is why this awesome project needs to be done by every DIY enthusiast out there. Sometimes it's not enough that a garden just has plants. The space seems more lovely and lively when there are animals too. 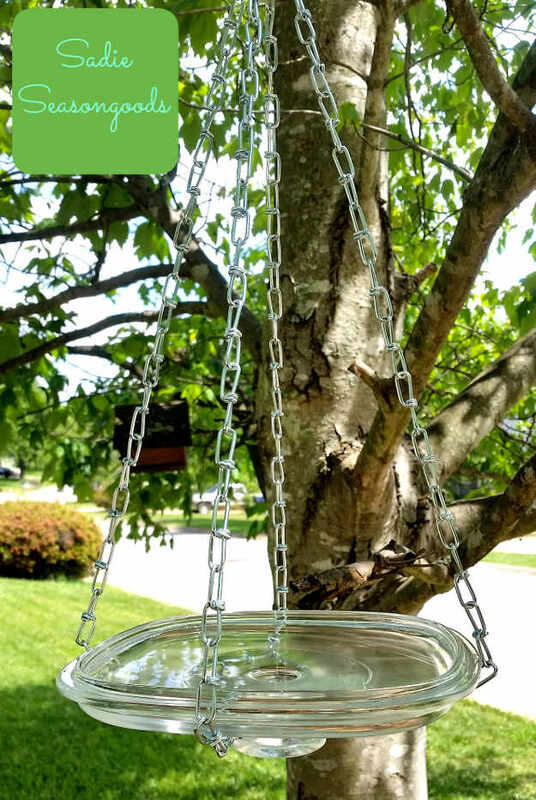 Turn your backyard into a small aviary with this amazing bird feeder. My wife threatened to throw me out if I stepped on her roses. This is why I made concrete steps as my backyard’s nifty (marriage-saving) walkway. Skateboarding on a swing? When I was a kid, all I had was my imagination. Now, you can make this swing out of a skateboard! Let your kids have fun camping outdoor with a teepee. More on that project right here. You don't need to buy your garden bench from any store. Just make your own! Step by step process found here. My wife made this for our front yard and people are just loving it. We even had one couple ask us how it was made. Of course, we showed them how. Give those birds a place to bathe after all that eating. Check out this awesome bird bath! Who doesn't love pallets? They are reliable and can be made into anything useful, just like this vertical planter. Tutorial here. Yes, you can upcycle your pots into a table. And you thought it was an IKEA table, right? Get the details here. Unleash your full creativity with a bucket of paint and a couple of brushes to make these awesome rock markers. Tutorial right here. Babylon's not the only place with hanging gardens. Your backyard needs to have this hanging garden and it will make people jealous! It's a planter and bench all in one. How can you not get this? Get the tutorial right here. Don't throw away those empty cans. You can turn them into hanging pots! More on this project here. I love stacking weird objects together to make a sculpture, and this one takes the cake. Tutorial here. Butterflies don't belong in your stomach. They also belong in your garden. Get butterflies for your garden with this amazing feeder. More details here. These ladybugs are just too cute to ignore! More about this projecthere. This type of planter for your garden saves space and allows more plants and herbs to be cultivated. Full details here. Have fun with your garden with some creative landscaping, just like these flowers with a spilled effect.. Get the tutorial here. Tiered gardening is great for homeowners with minimal space available. More on this project here. Boring clay pots don't liven up your garden, but I bet these rope-wrapped pots will. Click here for the tutorial. Don't throw out your old windows. Turn them into these awesome outdoor mirrors. Get the full details of this project here. These DIY garden projects are perfect for the weekend because you only need to spend a day or two to make your garden look awesome for a long time. No fancy equipment, no fancy training, just pure DIY innovation and creativity right here. Click here for more DIY garden projects.